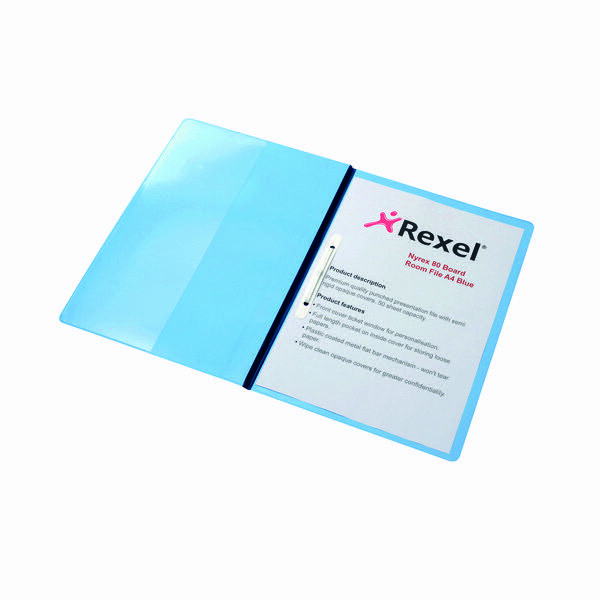 These Rexel Nyrex Boardroom files are the perfect way to protect, store and display, with an appealing embossed surface finish for professional looking documents. 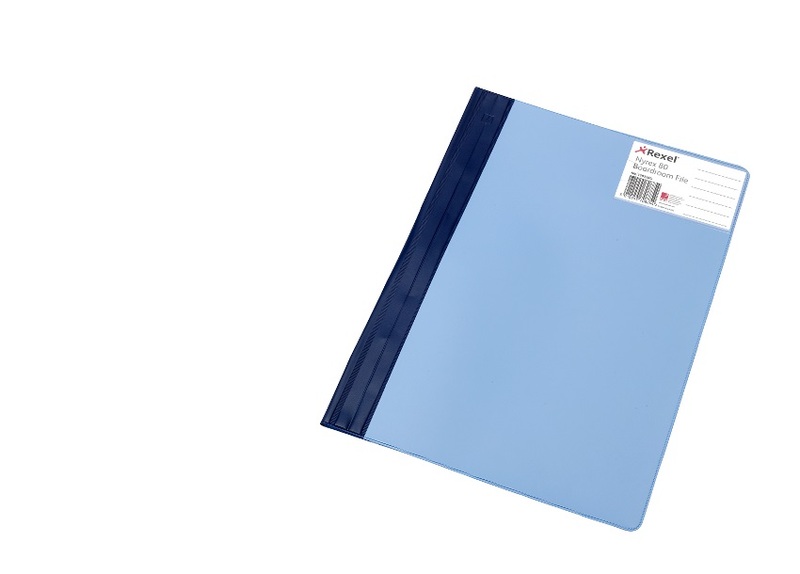 The handy full length interior pocket allows you to store additional papers, which is great for presentations on the go. The flat bar mechanism ensures extra durability and easy insertion of contents. The opaque covers also wipe clean and the cover ticket window allows for customisation and easy identification. This pack contains 5 blue files.